These are the foundations for the upcoming Women of Color Beyond Belief Conference. Presented by Black Nonbelievers, Black Skeptics Group, and the Women’s Leadership Project, this will be the first national secular forum exclusively focused on the perspectives and work of women of color atheists, agnostics, humanists, freethinkers and skeptics. Bridgett “Bria”Crutchfield, Sikivu Hutchinson, and Mandisa Thomas are spearheading the event, and shared some words on how and why this came together, as well as the importance and expected outcome. Sikivu (Envision): My friends and colleagues, Mandisa Thomas, Bria Crutchfield, Liz Ross, Candace Gorham and I were featured on the cover of the July/August 2018 issue of The Humanist magazine as part of its “Five Fierce Humanists” feature story on Black women atheists-humanists. Our cover was the first of its kind in the secular world, underscoring the need to create collective spaces for Black secular women’s resistance. The Women of Color Beyond Belief conference represents a critical juncture in the emergence of secular feminist activism and organizing. 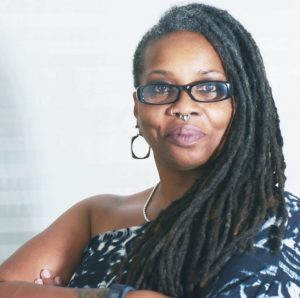 Although the majority of Black and Latinx women in the U.S. identify as religious, a growing number are examining and rejecting the fallacies of organized religion. 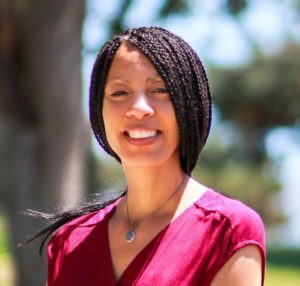 Over the past decade, women of color atheists, agnostics, freethinkers, and humanists have challenged white male orthodoxies of secular leadership, pushing for social, racial, and gender justice against the colorblind tide. In an era of increasing misogynist, homophobic and transphobic religious fundamentalist backlash against women’s rights and LGBTQI rights, the WoC Beyond Belief conference will be a strong platform for secular women of color voices. Mandisa (Execution): This collaboration between us and our organizations is overdue, yet right on time. When Sikivu said that she wanted to put together a conference featuring all women of color, I said “Let’s DO IT!’. Over the past seven years , we have developed not only great respect for each other, but also for each other’s work. There are also other women of color in this community who are invaluable, and they need to be more widely heard. I hope this conference empowers more secular women of color to speak up, understand that there are more of us out here, and get more involved. It is also my hope that the other secular organizations take serious note of our visibility and concerns, and that we are taking ACTION! 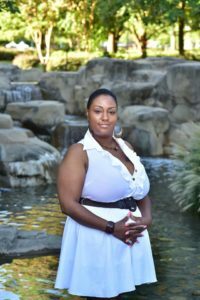 Bria (Exuberance): I’ve been in the secular community long enough to realize, we as minorities must CREATE opportunities within this community – not WAIT for them. This project, WOCBB, is near and dear to me. Not only because I am partnering with my two beautiful (especially on the inside) sisters but most importantly, we’ve created a platform that will feature the voices and stories of women who would otherwise continue to go unnoticed. I am BEYOND overjoyed at the possibilities of THIS collaboration’s joint venture. The disregard for women of color ends with Women of Color Beyond Belief! -Come and see these three and other dynamic women of color in Chicago at the Marriott Midway Hotel from October 4-6, 2019. The weekend will include an exciting lineup of events, such as a tour of Black historic sites in the Chicago area, a reception and viewing of “White Nights, Black Paradise”, and a Red-Carpet Diva’s Ball. 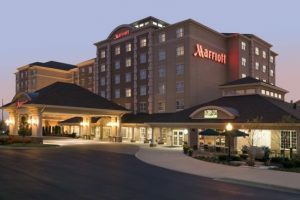 Reserve your room at the Marriott Midway Hotel by clicking here.